The Hobbit is a story that countless individuals across the globe are familiar with, as well as a popular tale that has caught the interest of adults and children alike. 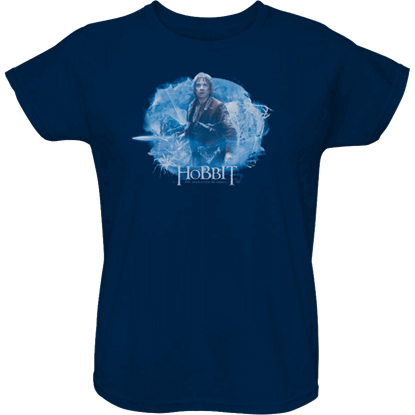 And now, adults and children can enjoy The Hobbit in a whole new way by wearing one of The Hobbit t-shirts right here. 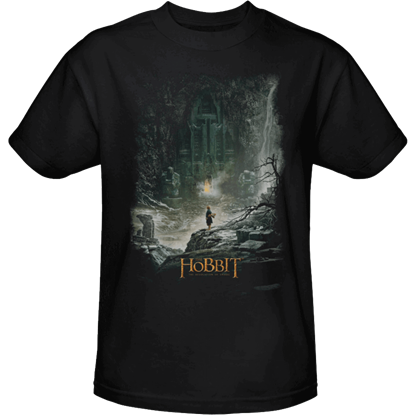 More than just t-shirts, these garments are almost collectibles in their own right, as each one is printed with a beautiful design that hails back to The Hobbit in one way or another. 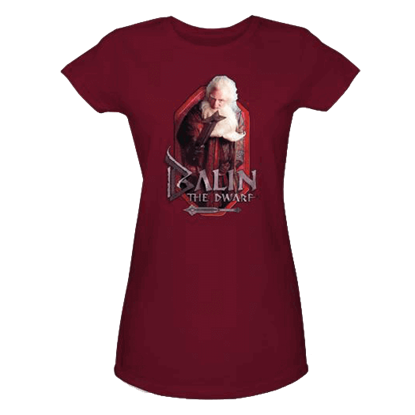 Among the designs you will find Thorin and his Company of Dwarves, ensuring that if you have a favorite, you can wear him as a part of your day-to-day attire. 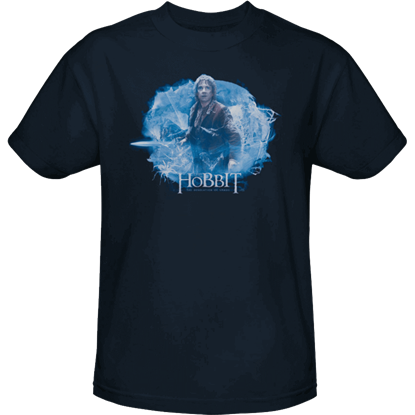 It does not matter if you love Thorin, Gloin, Balin, or even Bifur, Bombur, or Dori, because we have shirts for the whole group. The unlikely hero Bilbo Baggins makes an appearance on many of the shirts, as does Gandalf. And we even feature a few that showcase the storys villains, including the Goblins of the Misty Mountains and the trio of trolls that almost made Bilbo Baggins into their next meal! Many of these shirts are made from high quality 100 percent cotton, which makes them quite comfortable to wear. 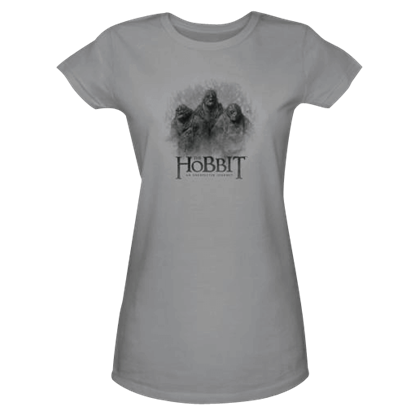 This means that any one of The Hobbit t-shirts makes for a great t-shirt to wear casually. Plus, the shirts are available in a variety of different styles, including fitted womens t-shirts and junior t-shirts, all alongside our classic mens t-shirts! 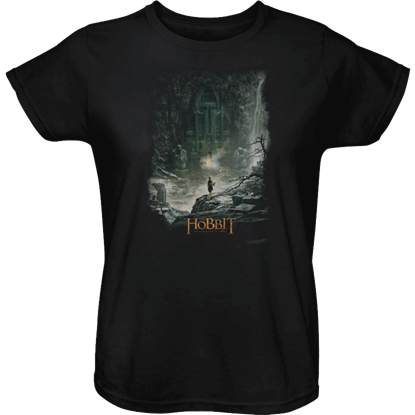 Basically, you are sure to find your ideal The Hobbit t-shirt here, ensuring that whether you are grabbing one as a gift or as a personal garment, you get exactly what you are looking for and more. Bilbo has come a long way from home, and in the Desolation of Smaug, he will go even further. 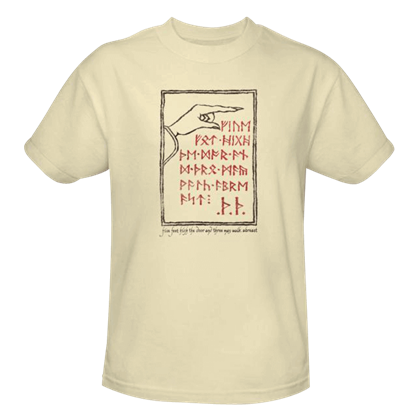 The At Smaugs Door T-Shirt depicts a pivotal moment when the hobbit must summon every ounce of courage to face a dragon. Bilbo has come a long way from home, and in the Desolation of Smaug, he will go even further. 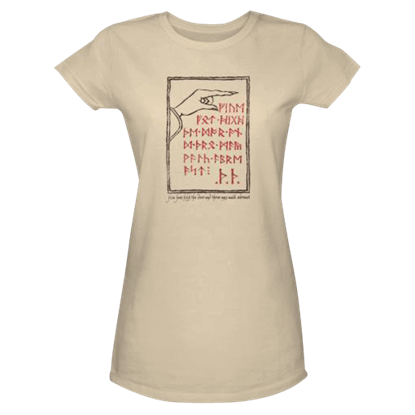 The At Smaugs Door Womens T-Shirt depicts a pivotal moment when the hobbit must summon every ounce of courage to face a dragon. In The Hobbit, the journey for Bilbo Baggins and the dwarves was fraught with mystery, adventure, and danger, culminating at The Lonely Mountain. There, secret instructions on how to enter the mountain were written down. Balin was a dwarf leader, the son of Fundin, and elder brother of Dwalin in J.R.R. Tolkiens epic saga, The Hobbit. 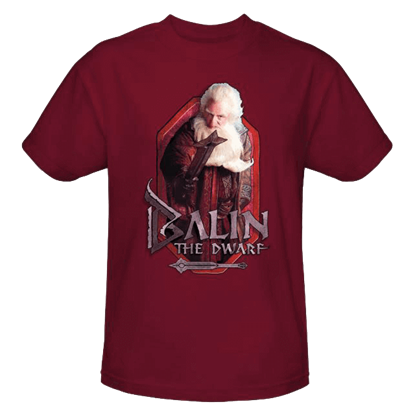 The Balin Junior T-Shirt makes a fantastic apparel choice for fans of the masterful Hobbit films. Balin was a dwarf leader, the son of Fundin, and elder brother of Dwalin in J.R.R. Tolkiens epic saga, The Hobbit. 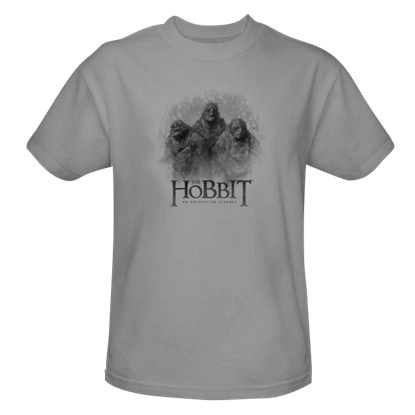 The Balin T-Shirt makes a fantastic apparel choice for fans of the masterful Hobbit films. 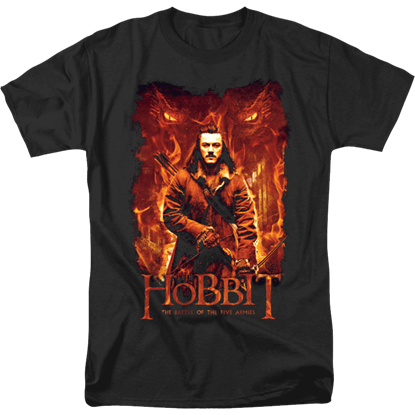 A delightful piece of Hobbit themed apparel that is designed in tribute to The Hobbit the Battle of the Five Armies, the Bard the Bowman T-Shirt displays a colorful graphic of Bard the Bowman amidst an inferno. One of the most memorable scenes from The Hobbit is when the dwarves escaped Mirkwood via barrel and river. 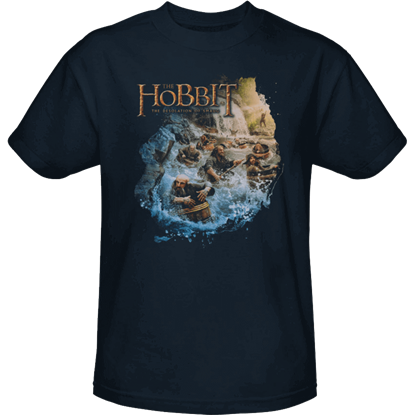 The Barreling Down Hobbit T-Shirt captures that moment from the movie, making for a fun shirt for any fan to wear!